The special issue of the Royal Society Interface: Focus covering our meeting last year, is published today. The special issue has many excellent papers from our colleagues and collaborators, check it out - it's great! :-) Special mention should go to Mark Danson, who proposed the meeting in the first place, secured the funding for it, and then has written the issue intro paper. Well done Mark and well done all! I've been doing various press interviews in advance of publication today, so hopefully will be able to collate some of those here later. The image below from our work at Wytham Woods is on the cover, and the various papers led by me, Yadvinder and others, have examples of our work from Wytham, Gabon, Ghana, Brazil and Borneo. 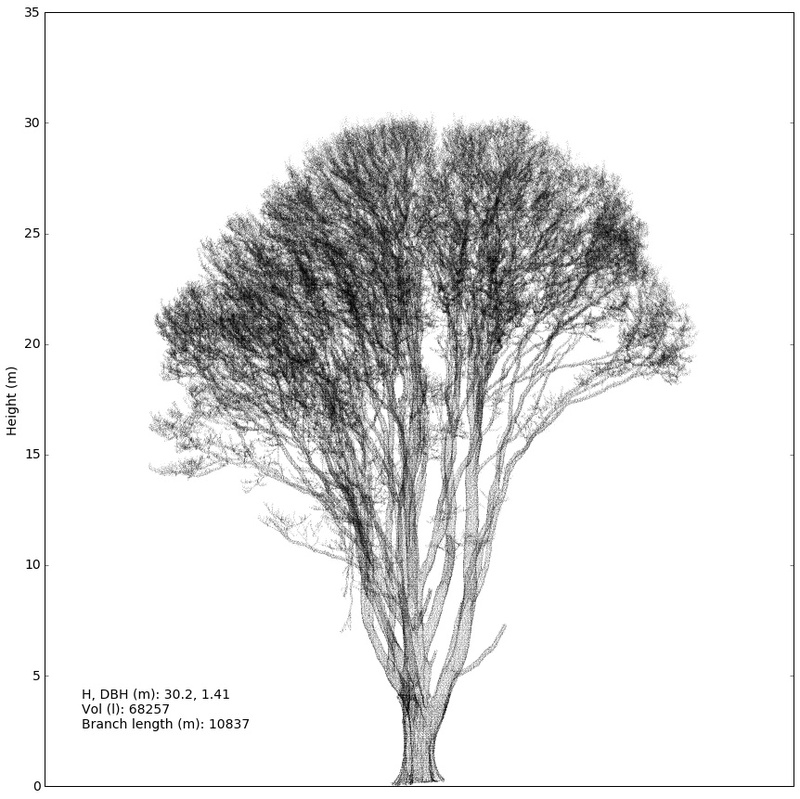 Top down view of 1ha of Wytham Woods TLS data (Fig 2a from our paper); image produced by Kim Calders, then at NPL (who funded that work through EU METEOC-II), now at Ghent. It also has some of the amazing plots of point clouds including the sycamore with 11 km of branches. Figure 3b from Disney et al. Sycamore from Wytham Woods. 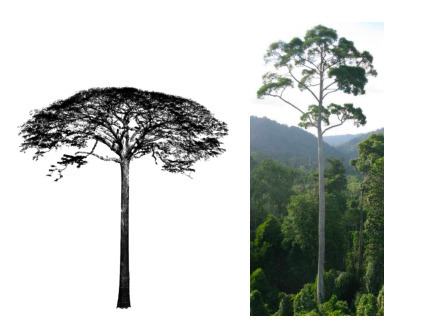 and Yadvinder's paper has the huge 60 m wide, 100 ton Gabon moabi, alongside a much taller but narrower dipterocarp from Borneo. Figure 7 from Malhi et al. we also had interviews on Sky Radio, BBC Wales and various others.